Truck crashes are some of the most severe accidents that can occur on the Arizona highways. The size and weight of a commercial truck essentially make it a potential weapon, especially when owners and operators fail to maintain them in a proper condition. Improperly trained truck operators also increase the risk of serious truck accidents on the roadways. Studies show that inadequate maintenance and operator error are among the most common causes of serious truck crashes. At Plattner Verderame, P.C., our clients receive representation from skilled Phoenix truck accident attorneys who commit themselves to the pursuit of high-value compensation for each and every client. When real victims with serious injuries secure our services, we immediately begin the investigation process. Our skills and resources enable us to thoroughly consider the details of your truck accident, so we can properly identify the cause and all responsible parties. Every partner in our law firm has been certified by the Arizona State Bar as Specialists in Personal Injury and Wrongful Death Litigation. We know how to fight for your rights and hold responsible parties accountable for the injuries you incur from a truck accident. When improper maintenance causes an accident, it can be challenging to gather necessary evidence. Truck owners and their insurance companies are unlikely to voluntarily hand over maintenance and repair records. That is why the assistance of experienced Phoenix truck accident lawyers is so important to the development of a strong case. 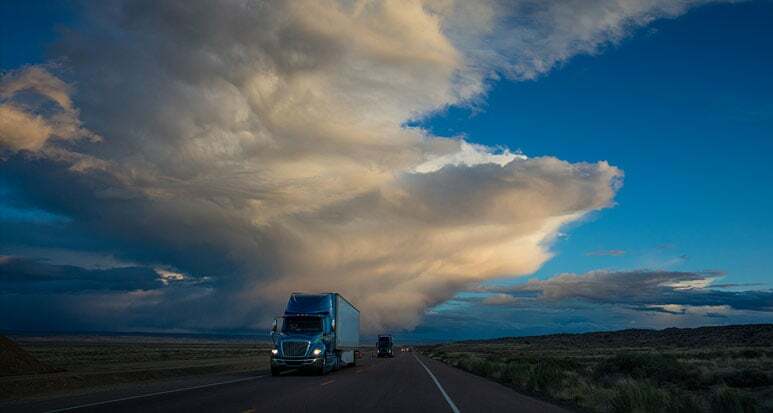 When inadequate driver training causes a serious truck accident, the employer or trucking company may hold some responsibility for resulting injuries. Our attorneys have the knowledge and skill to fight against large trucking agencies and their insurance companies. Our dedicated Phoenix truck accident lawyers aggressively advocate on your behalf, during negotiations or in a trial. We guide you through every step of the legal process, from the filing of an initial claim to complex court proceedings, so you never have to handle the legal process without reliable representation. At Plattner Verderame, P.C., we prepare every case for a vigorous trial, even when settlement is likely. Our experience has taught us that settlement negotiations are much more successful when the opposing attorneys fear what may happen during a trial. Our preparation, along with our reputation for strong litigation skills, has consistently helped us secure high-value compensation amounts for our clients. This proven track record has also made us the law firm that other law firms call on for assistance with their most complex legal matters. Truck accidents can cause severe injuries that will require years of medical treatment and rehabilitation. At Plattner Verderame, P.C., our skilled Phoenix vehicle accident lawyers understand the financial impact of these accidents, and we work hard to secure a compensation amount that adequately covers your current medical expenses, as well as those you will face in the future. We handle your case on a contingency basis, meaning you pay nothing until we secure a settlement or verdict for you. Call us today at 602-783-8793, or complete our contact form.